GET FAST RESPONSE AND SAME-DAY SERVICE! Let our experts handle any issue safely and professionally. Schedule now! We have the expertise to ensure any problem can be fixed. We only offer the highest grade products and parts for all repairs. Have your service completed today with our express delivery! You can count on us to be available, transparent and honest. Our company guarantees reliable repair services to customers in our local area. Garage doors can be more complicated than they seem. 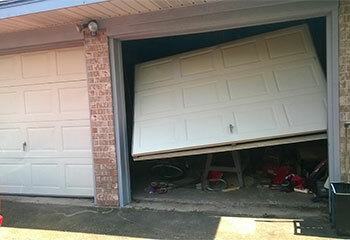 Repairing a garage door can be tricky and even dangerous due to the weight involved. Let our trained technicians assist you with all your repair needs. Whether you need them installed, replaced, maintained or repaired, our garage door spring technicians will see to it in no time. Call us now to find out more about our offers. All the moving parts in a garage door opener can make it hard to know which piece isn't working. We can help you find and fix the issue so that you're never stuck wondering. Whether your garage door could use a complete system inspection, or simply needs the tension adjusted, we’ve got it all covered for you! Our experts will take care of it right away. Learn more here! Our team of professional gate repair technicians will assist you with restorations, opener replacements, hinge repairs and more. Call us now for details on our various services. Garage Door Repair Lombard is here and ready to lend you a hand when you need it! There’s no need to struggle any longer with a garage door that isn’t working like it should if you live in the Villa Park, IL area our professionals will have it fixed before you know it. 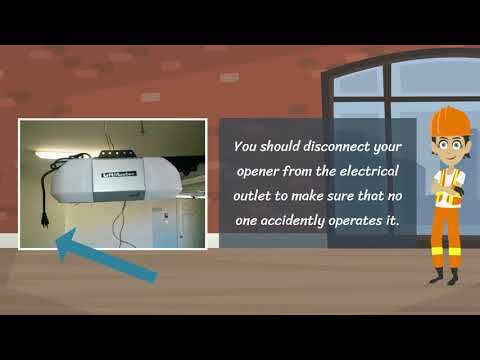 Whether you require installations or repairs and replacements, it can all be taken care of for an affordable price and will last you for years to come thanks to years of expertise in the field. 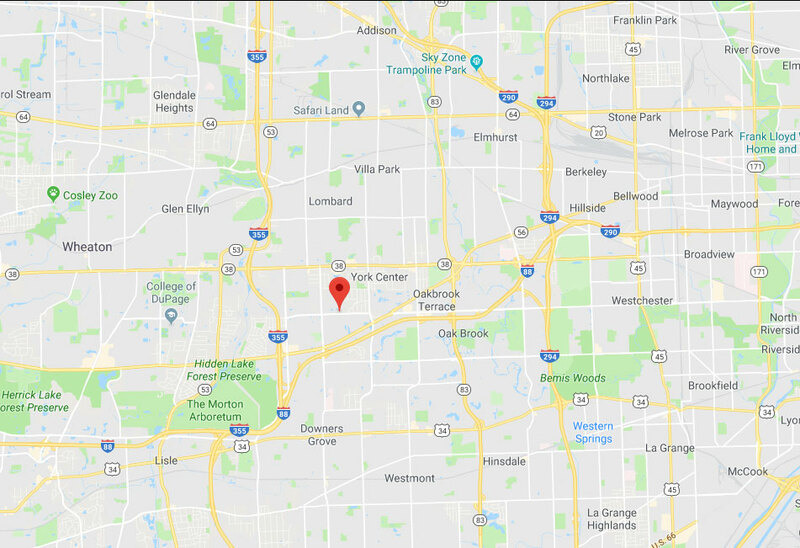 If you’re anywhere between Glen Ellyn and Addison and need help with getting a new opener or garage door installed, our team is ready to go. You can count on us to be completely familiar with all of the best brands in either case. If you’ve already purchased your new Linear opener, that’s okay! Professional installation is still the best way to assure it’ll be working properly for a long time. Installing that new Sears door can be a strenuous process, so let us handle it all for you with ease so you won’t have to worry! In the Elmhurst area, extreme cold temperatures aren’t a surprise. However, they are a detriment to the parts of your garage door due to making their parts brittle and more likely to break. Should you find that your door is having issues with slowing down, the issue may be that the tracks or rollers have become damaged from this or general wear and rusting. Repairs and replacements are available for both to get your door moving smoothly again. 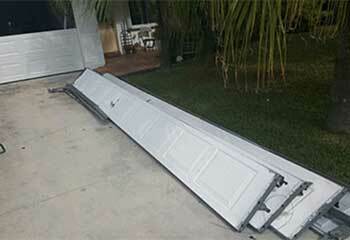 If a storm or accident has broken one of the panels on the door itself, don’t worry! There’s no need to replace the whole door, the panel itself can simply be repaired or replaced to look like new. Maintenance is another great way to help combat the problems that icy weather brings for your door, and Garage Door Repair Lombard can assist with that! Our professionals can provide a thorough system inspection to check for any issues, lubricate parts to keep them flexible, adjust the tension, and even test those all-important safety sensors. If you live around Downers Grove, all you have to do it contact us today to find out more about all of the great services provided in no time. Garage Door Repairs Are What We Do Best! 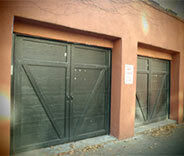 Our company is at your service when it comes to garage doors and their accessories. We have been serving Lombard and the nearby area for many years now, offering repairs, replacements and other services to various garage door types and models. Interested in a new door? Ask for our door selection to choose from top brand names like Clopay and Amarr. Schedule your appointment online now! Have a look at how we helped some of our valued customers and clients sort out their garage door problems on our latest projects page. 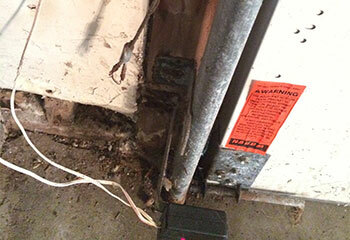 We were out as soon as possible to get this customer's broken spring replaced and restore her garage door. Read more here! 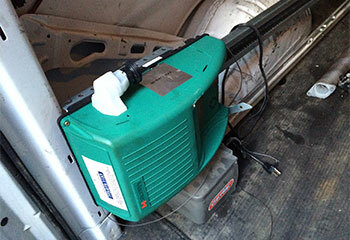 After a car bump left it busted, we took care of replacing the panel for this customer! Discover more here. This customer's door got off its track because of an accident. Our team took care of the problem quickly. 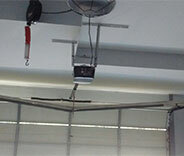 We're first in Lombard for the finest garage door service and repairs. This customer's door opener failed and our technicians repaired it quickly for a very accommodating price. A broken cable stopped this customer's door from working. Read all the details about the replacement here. I've heard many great things about this company and they were all true. When their technician came to my house, he fixed a problem with our remote quickly and the door works perfectly again! I'm happy I found this company! Their technician took his time explaining how best to keep my old garage door working properly. A new opener was all I needed. Great attitude and highly professional! 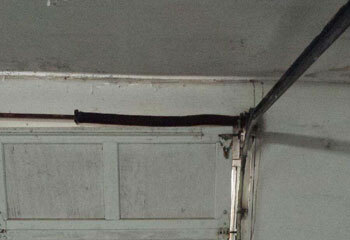 I hired your company to replace the worn rollers on my garage door and I’m pleased with the work that was done. I’ll definitely call you the next time I need repairs. Your technician replaced the faulty logic board on my garage opener to get my door working again in no time at all. I have nothing but praise for your company. Thank you! Just wanted to thank you for replacing the worn belt on my garage opener. Your technician arrived on time for the appointment and was prepared with the equipment he needed to get the job done. BOOK YOUR GARAGE DOOR MAINTENANCE NOW! Schedule any of our services online today! Whether your garage door is in need of repairs, simple maintenance, or you need a new one overall, we can help you! Our experts are happy to come out and take a look to determine what solution is best for your door, then get to work. Browse our website for more information or give us a call today! Thank you for choosing our company! Feel free to browse our website for more information in the meantime. Our team at Garage Door Repair Lombard is at your service any time!